Ever since I upgraded to High Sierra and iOS 11, I've been experiencing quite strange issues. First thing I noticed was that no matter how many times I clean, rebuild the project, XCode9 won't show the attached classes to XIB/Storyboard editors when opened in Assistant. 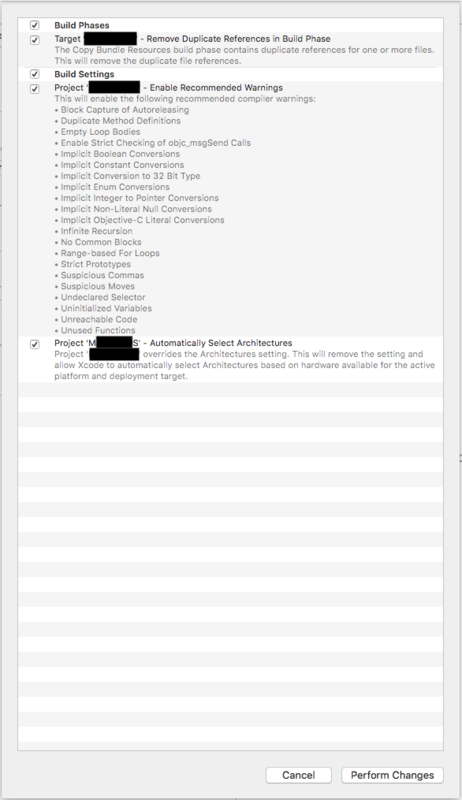 The only thing that fixes this is building the project, and then applying the recommended first warning fix - "Update to recommended settings"
After this, XCode can successfully show the Assistant-accessed files generated by the Xamarin framework. void GAIUncaughtExceptionHandler(NSException *) (GAIUncaughtExceptionHandler.m:48): Uncaught exception: [<NSObject 0x604000e05460> setValue:forUndefinedKey:]: this class is not key value coding-compliant for the key ImageView. This is coming from a custom XIB-based view inheriting from UITableViewHeaderFooterView. Outlets were created after the above issue's tempfix I detailed. All other outlets created prior to this work just fine.